Hooray for holiday baking!!!! My kids and I love spending time in the kitchen together. We’ve tried so many new recipes but today we are sharing one of our favorites with you. When I say meringue cookies, my kids jump! 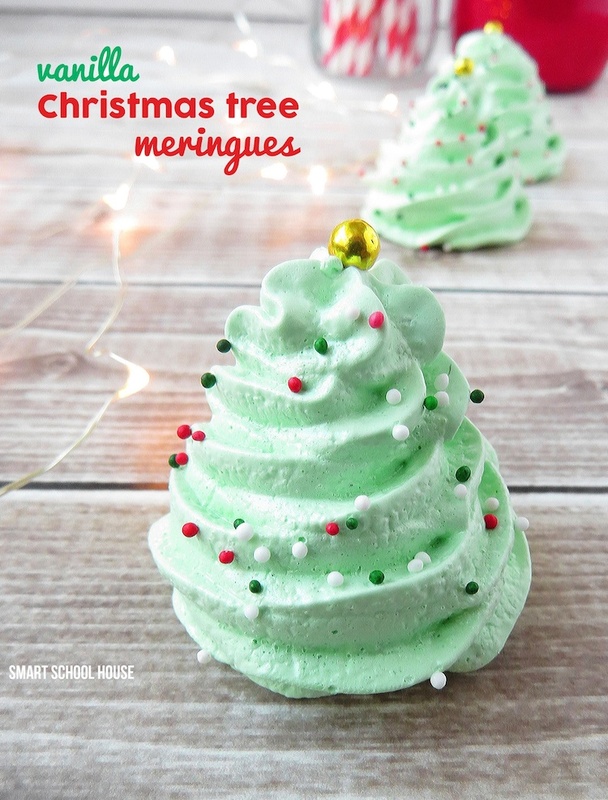 This recipe for vanilla Christmas Meringue Cookies is so easy and so tasty (they practically melt in your mouth). 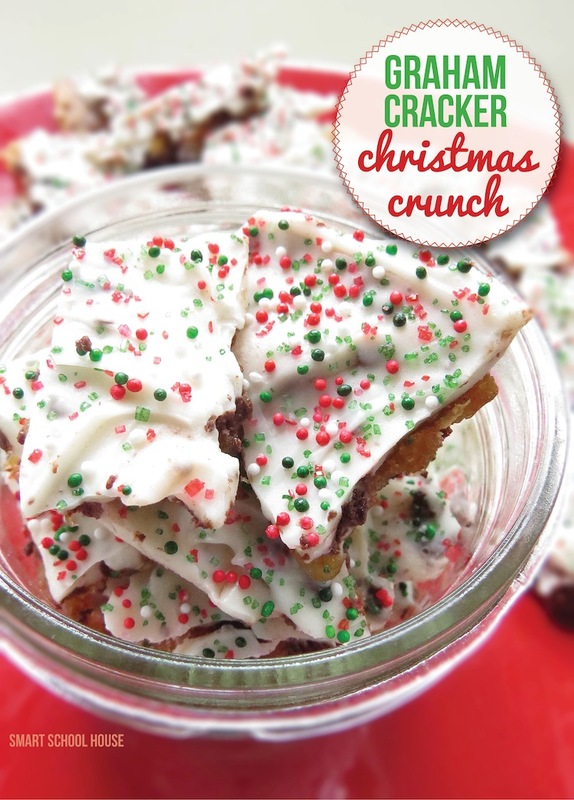 They are perfect to bake on Christmas morning or for holiday parties. But, if you’re anything like us, we just make them for fun! This post was originally published on November 26, 2014. I have updated it to answer questions and make the instructions even easier this Christmas. Icing bag (or zip lock bag) and a star-shaped frosting tip. You can find these in the frosting section at your grocery store. Prepare a baking sheet, covered in foil, and sprayed lightly with non-stick spray. Using an electric mixer, whip the egg whites for a few minutes on high speed until they are frothy. Add the sugar into the frothy egg mixture in small amounts. Continue to mix on high for 1 minute. Add in the cream of tartar. Add butter vanilla emulsion and green food coloring until desired shade is reached. Continue to whip the mixture on high for 4-5 minutes until stiff peaks form (meaning that the meringue holds a form when the mixer is turned off). Using an icing bag with a star shaped frosting tip, press the meringue mixture down onto the foil and gently swirl in a circular motion (like making soft serve ice cream). Add Christmas colored sprinkles and a golden sprinkle on top. Bake for 45 minutes or just before they begin to turn brown along the edges. Let them cool completely (or eat them when they are a tiny bit warm!). Store in an air tight container. Makes about 24 small trees. HOW FUN, right? You don’t have to be a professional to make adorable sweet treats. Just some simple ingredients, some simple directions, and you’re good to go! These are very good, light and airy. The colors are great for the holidays.An extremely good tasting cookie. Butter flavoring wasn’t mentioned in directions. Should I add it with the food coloring? The link to the butter flavoring is found up in the directions:) Hopefully you’re able to get it in France! It’s very, very tasty! If we don’t have the Butter Vanilla Emulsion, do we just substitute regular Vanilla extract or omit it altogether? These look fantastic! Sure! It won’t have the exact same taste as the butter vanilla, but the meringue cookies will still taste great! Can butter flavoring and vanilla flavoring both be used since locally we don’t have a kind like what you used? Thanks! I can’t find the butter flavoring… Any suggestions for a Christmas substitute? I think that sounds like a neat twist on the recipe! I have a question, I have never made meringue cookies before and the directions say to cook them until the edges start to turn brown, I am looking at your cookies and they don’t look brown at all, am I missing something?? It’s hard to see in these photos, but they are slightly brown on different sides (and underneath). So, you’ve got it right! Watch them carefully in the oven and take them out just before they show too much brown. Try one out to make sure they’re cooked and you’re good to go! How do these keep? Do they have to be kept very dry. I thought humidity in the air was possibly an issue. Would that be a concern? Hi Can you use Homemade Vanilla Extract instead ? Can these be made ahead several days to a week? What is the best way to store them? How fun and lovely to boot! Two questions for you. Can these be made days ahead and how do you store them to keep them fresh? Yes, they will last a few days and simply need to be stored in an air tight container (like a simple ZipLock bag). I definitely want to make them for a party but would need to make them ahead of time. I actually don’t think they will freeze and thaw correctly. But, they will keep for a couple of days in an airtight container (like position them sitting up in large Zip Lock bags). Hello and thank you for your pretty Christmas recipe. I have already put the Christmas tree photo and the link to the recipe on my Facebook page. Do you authorize me or no to link your recipe ? If not I delete the photo and the link in my Facebook page. Sorry for English mistakes !!! Tx. These cookies are so cute, but I was wondering how many cookies this recipe makes. Just to clarify, do you use granulated sugar? I’ve seen a meringue recipe that calls for powdered sugar so I’m a bit confused! For the life of me, I can’t get my batter to form stiff peaks- I must have used my electric mixer for 20 minutes. Suggestions? Maren, that is so strange!! Did you mix the egg whites on high for a long time until they were bubbly? That’s an important part. Darn, I wish I was there to help you! I am wondering if I should have beat them for a longer time before I added the sugar- I’ll keep trying! I just love yours. I hope that is the hold up! Put your mixer on high and mix the egg whites for a lot longer than you did the first time. They will get really frothy and bubbly. Good luck and I hope that works! I’m wondering if using a whip attachment makes a difference? I really don’t know. Just a guess due to the need for whipping the egg whites….. I cannot find butter vanilla anywhere near me. I’ve always used vanilla paste or vanilla extract. would that work? I made these today and the second batch turned out perfect! The first batch I left baking for 45 minutes and they sort of collapsed after a while and were more like “taffy”. The second batch I had to cook for MUCH longer (1.5 hrs) before they finally browned a bit. When they cooled though, they were PERFECTION! My advice is to REALLY be sure they’ve started to brown before you remove them from the oven. I found clear vanilla and butter flavoring at good ol’ Walmart a long time ago. Try the wedding aisle with all the Wilton products. They carry food coloring paste which I think would be waaaaay better for this since it won’t add any moisture. Going to try these next!! Spritz cookies are in the oven now!! I will definitely find some butter vanilla emulsion for my baking bag of tricks. Until then do you think a 50/50 mixture of butter extract/vanilla extract will produce similar results? Just curious since the emulsion would have both flavors? 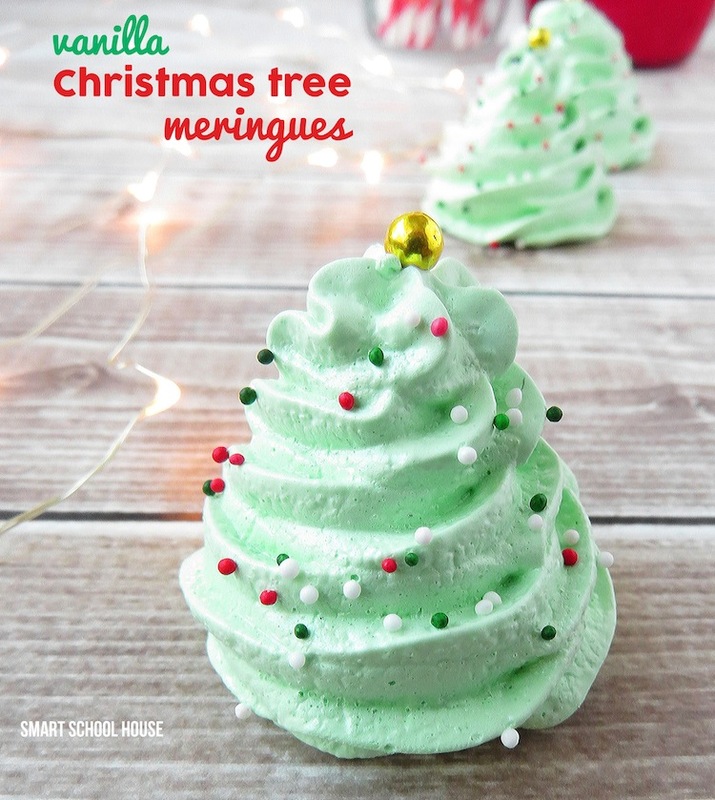 The meringue trees are very festive!